Ron Howard returns to the director's chair with Rush which is based on the true story of rival Formula 1 race drivers James Hunt and Niki Lauda. 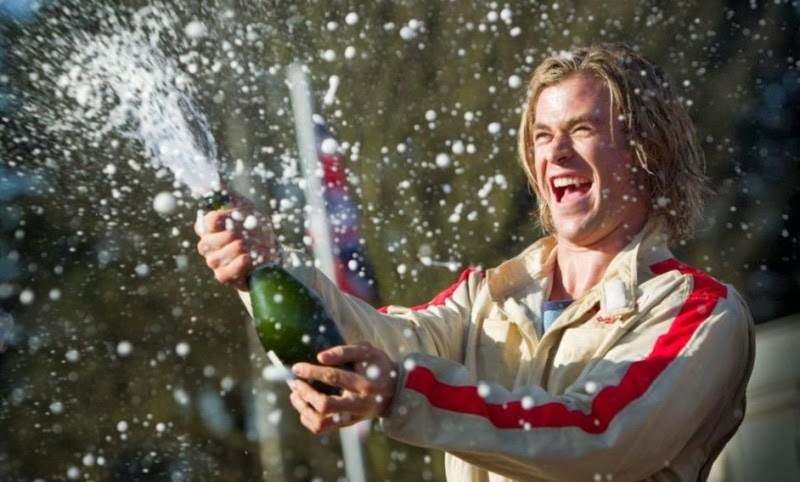 Chris Hemsworth, Daniel Brühl, Olivia Wilde, and Alexandra Maria Lara star in a movie written by Peter Morgan. 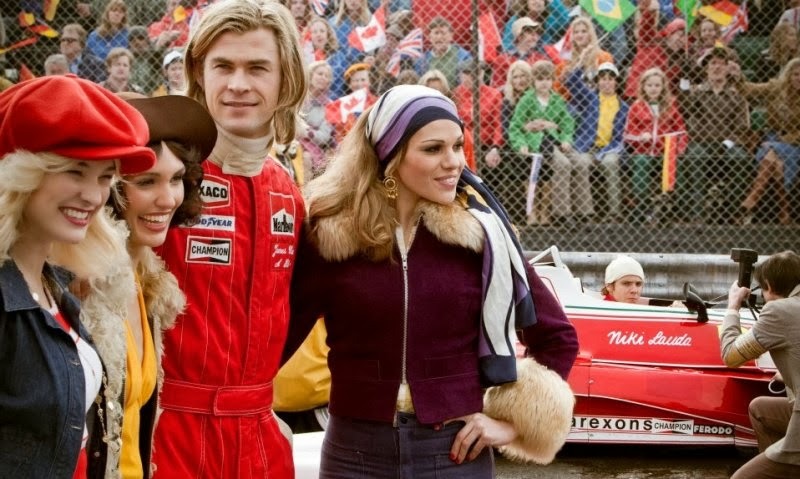 James Hunt (Hemsworth) has been carving out a career for himself as a race car driver on the Formula 3 circuit and has been enjoying all the perks that come with the lifestyle of men who are looked at as invincible heroes. 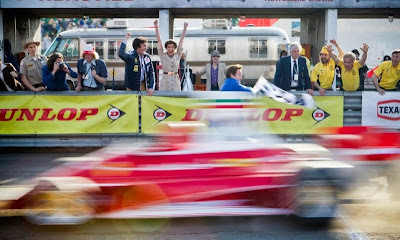 His escapades have earned him a reputation as a driver who is just as unreliable as he is talented and, if he can ever find a way to put it all together, he could be one of the greatest ever to sit behind the wheel. 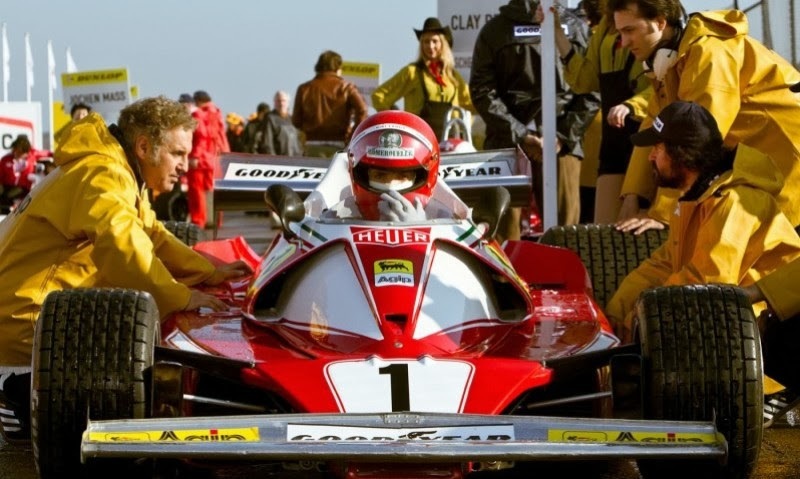 Niki Lauda (Brühl) is obsessed with perfecting both the art and science of racing and will go to any length to be the best even if it means giving up his family inheritance to follow a path his father doesn't want him to have anything to do with. Investing everything he has to buy his way onto the Formula 3 circuit, he quickly begins to make an impact with his unparalleled knowledge of building a faster car although he is also becoming known for being both overly demanding and for having a personality one would be hard pressed to find appealing in any way. As the two men begin to pile up wins by literally leaving all other competitors far behind, they begin to form a genuine dislike for each other and each man becomes laser focused on beating the other at any cost. This rivalry actually helps to propel them both higher up the ranks and eventually lands them both on the prestigious Formula 1 circuit where their names begin to take on a legendary status. As Hunt enjoys the spoils of his rock star lifestyle, Lauda stays focused on being the best driver ever and the two men find themselves in a battle for who is to become the ultimate champion. If you've always thought that Chris Hemsworth is just a pretty boy actor who can flex his muscles in comic book movies, I can guarantee you that Rush will give you a newfound respect for just how good an actor he really is. The man most known for playing the god of thunder is especially good in scenes where he and the equally talented Daniel Brühl get to square off against each other in some very spirited dialog. Both actors do a fabulous job of portraying how much the two men really didn't like each other yet also had a world of respect for each other. What really blew me away about this movie was the beautiful visual style that Ron Howard utilized to great effect. 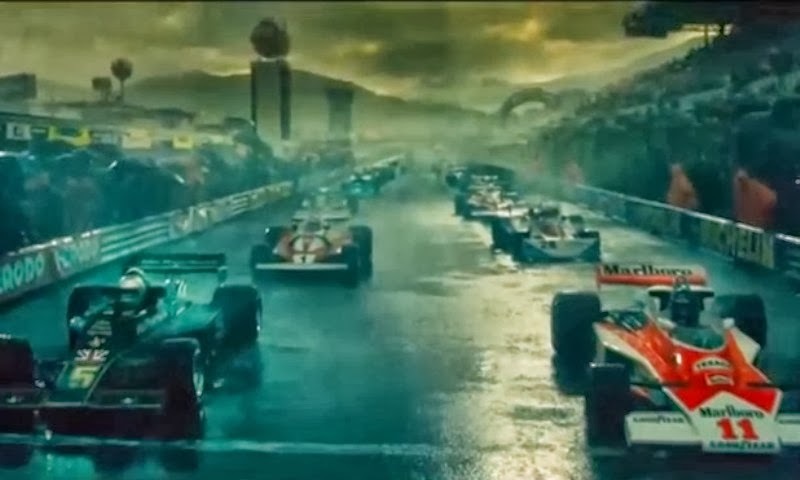 As a viewer, you are instantly drawn into this unique and dangerous world of speed, glory, and fame. The energetic racing scenes put you right into the drivers seat and I found myself gripping the armrests of my chair at least once or twice during some of the more harrowing sequences. This movie firmly puts Mr. Howard right back into the forefront of his profession as both a great storyteller and an innovator of what can be put onto a movie screen. Rush is a powerhouse of a movie with two very strong acting performances that is sure to contend for lots of awards and trophies when that time of year comes around and some may even consider this to be Ron Howard's best work to date. 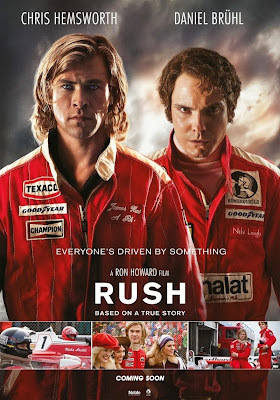 While I might not go that far, I did feel that Rush was a very entertaining and emotionally gripping movie that kept me thoroughly engaged from beginning to end and I would highly recommend that you race to your local theater to check this movie out as soon as you can. TwoOhSix at the 2013 PAX Prime Convention! Cinerama 70mm Film Festival Ticket Contest!